We arrived in Birmingham during the later part of the summer of 2016. Luckily, we were able to sneak in a Baron’s game and were happily surprised that one tradition is very similar to what goes on in a Washington Nationals game. 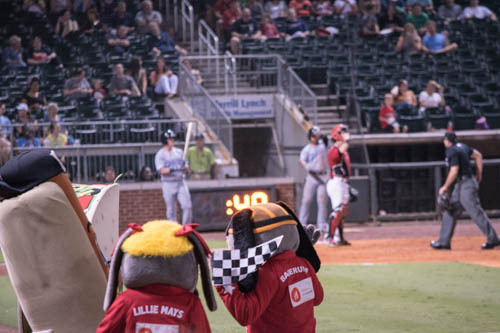 At least all the mascots were happy at the end of the race. I blog about coding, women and technology, tarot and healthy recipes. I also take pretty photos around Alabama.